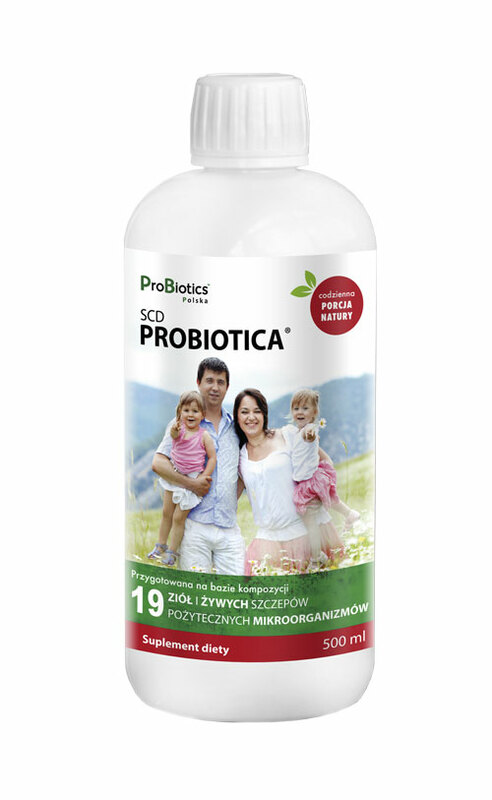 As a result of natural processes occurring in SCD ProBiotica®, slight changes in color, smell and taste may occur as well as ingredient settling on the bottom of the bottle and a white layer on the surface. This does not influence the effectiveness of the product. 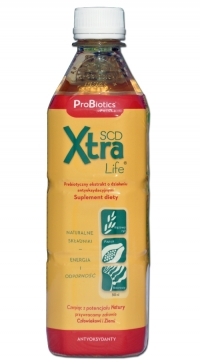 Purified and structured, unchlorinated water, SCD probiotic cultures, organic sugar cane molasses, sea salt, fruit concentrates, fructose, herbal blend composed of anise seed, licorice root, fennel seed, basil leaf, chamomile flowers, chervil leaf, elder flowers, fenugreek seed, ginger root, angelica root, juniper berry, nettle leaf, oregano, parsley leaf, peppermint leaf, rosemary, sage leaf, thyme, dill weed, reishi mushrooms.